Finding the right care provider can be hard for families. You want someone to love your pets and your babies the same way you do. With the cost of care rising, many parents are asking nowadays “What is Nanny Share?” Through this comprehensive guide, we'll walk you through what it means to share a nanny, how to find and pay for a nanny share, and how to maintain a nanny share relationship. By the end of this, you will know if nanny sharing is right for you and how to create a successful nanny sharing relationship. Nanny Share occurs when a nanny takes care of two or more different families, either simultaneously or at the different times of the week. This form of childcare is quite specialized and comes with many pros and cons. Essentially, Nanny Sharing is when two families share the time of a nanny. What does a Nanny Share Look Like? Consider the two families: the Fosters and the Patels, who share their nanny, Connie. In scenario one, the Fosters bring their child over to the Patels house every morning and pick their child up after they finish work. The two children could play, eat and nap in the same house with one nanny who works full-time with the two children. Connie would work Monday to Friday, 9 to 5. In scenario two, the Fosters would have Connie take care of their child on Monday, Wednesday and Friday, and the Patels would have her on Tuesday and Thursday. The two families could also trade off in the middle of each day, and have morning/afternoon shifts. In this situation, Connie would also work Monday to Friday, 9 to 5. You can quickly see how customizable nanny share can be. There are many ways nanny shares work. For a family that doesn’t require a full-time nanny or who would prefer not to pay the hefty price for one, nanny sharing is the perfect solution. There are also many hidden benefits to sharing a nanny. The greatest benefit to a Nanny Share is that the two families each save 33% of the cost of the nannies wages if they hired her alone. There are many benefits to this kind of childcare, including someone who does more than childcare. Parents setting up nanny shares not only for their children but also for a little extra help with their animal babies as well. Many families choose to do nanny share for financial reasons. In a regular nanny situation, one family would hire a nanny for $3000 per month. With the nanny share cost structure, each of the two families only pays $2000 per month and the nanny takes home $4000 per month. This benefits both the families (who each pay 33% less) and the nanny who takes home more money each month. Nannies who are paid well and respected tend to stay for a lot longer! Another benefit to nanny sharing is the socialization time your child receives. If you want your child to go out on a lot of trips to the park or museum, having a friend with them can make the experience a lot more fun and enjoyable. Your child is still receiving personalized attention (which would happen less in a daycare setting) but can also learn how to interact with others. 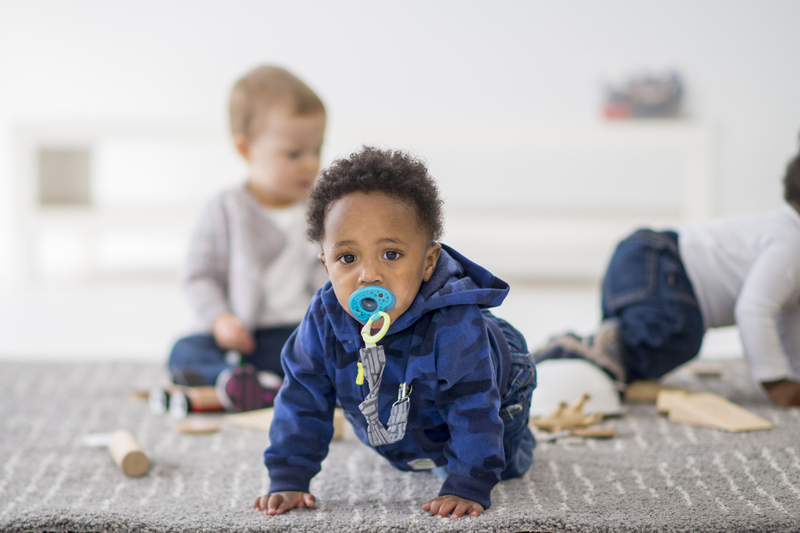 It is also very convenient to have at-home care for your child or just drop your child off at a very close by neighbor’s house instead of driving to a daycare. A nanny can also be a little more flexible with overtime whereas daycare centers will charge heavily for it. Finding a nanny share often requires two steps. If you are a family looking for a nanny, you need to find a family to share with and the nanny. You can choose to find either first, but it may make more practical sense to find a family before so you can search for a nanny you both agree on together. A great resource to help you connect with, interview, and hire nanny shares is Nanny Lane. The folks at Nanny Lane have invested heavily into creating an online experience ideal for two-parent groups seeking a caregiver, or families with an existing nanny who is looking to share time with a second family. If you’re looking for nanny share opportunities, look no further. One of the best ways to find a nanny share is on NannyLane.com, where many families and nannies are looking for childcare opportunities. If you’re a caregiver, you can find many nanny share jobs here! You will be open to thousands of candidates in your area, which will make your search for the perfect nanny that much faster! 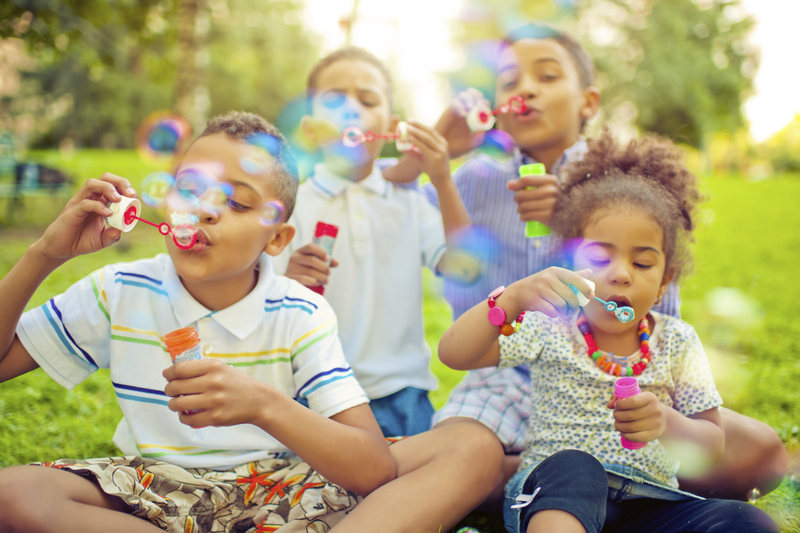 A great way of finding a family to nanny share with is to ask around in your neighborhood. Nanny share works best when the two families live in very proximity to each other. If your nanny works on different days their route will be more or less the same, and if the two kids are in the same house morning drop-offs will be easy. Nanny share in Toronto, Vancouver or other large cities are great because there’s a lot of dense neighborhoods where you are bound to find someone near you. Once both families have decided on a short list of candidates, it’s time to start interviewing. Here’s a helpful resource for interview questions, but be sure to tailor your questions to the needs of your child as well. Do they share the same parenting philosophy as you? What’s their opinion on screen time/tablet use for young children? What kind of food do they feed their child? Do they want their child to be more active, or stay inside often? What day trips or outings does the family prefer? What discipline tactics do the parents want the nanny to use? If your child will be staying in another family’s house for the day, do they have any pets? Are they willing to stay overtime or overnight? Are they flexible for weekend shifts? Do they have a license and/or vehicle? What day trips are they willing to take your children on? If your nanny travels between two different houses you can most likely pay them a regular nanny wage. But make sure you compensate for the travel time between houses! If the children of two different families are spending time in one household, it is best if each household pays two-thirds of what they would pay if their nanny was full-time. For example, the average gross pay for a nanny in the United States is $19.14 per hour. If the Millers and the Spencers shared their nanny they would each pay $12 per hour and their nanny Sarah would receive $24 per hour. Each individual family pays less for the same number of hours of care and Sarah at the end of the day earns more! If one family has two children and the other family only has one pay should be fractioned accordingly. If the children will be in the same house, the host family could pay less in exchange for the place they provide the children. Interviewing nannies who fit both the families requirements can be tricky. Different families most likely have different preferences (less screen time, healthy meals, etc.) It can be challenging scheduling interviews and then coming to a mutual decision about the right nanny. If the two children are going to be spending time in only one house, figuring out how to split costs evenly will be important. Who’s going to be providing the food? How about day passes to the museum? Will double strollers be needed? Perhaps the best way to go about this would be for one family to pay for the expenses first and keep receipts so the other family can pay half. There’s also a risk of one child liking the nanny more than the other or the two children not getting along. Over time these situations should ease out, especially as the children quickly grow up. Given the financial savings and flexibility of nanny share, however, many find that the pros outweigh the cons. If you have the right family and nanny having a nanny share is like a match made in heaven! Maintaining a functional and healthy nanny share arrangement can take some time, but is also very much worth it. 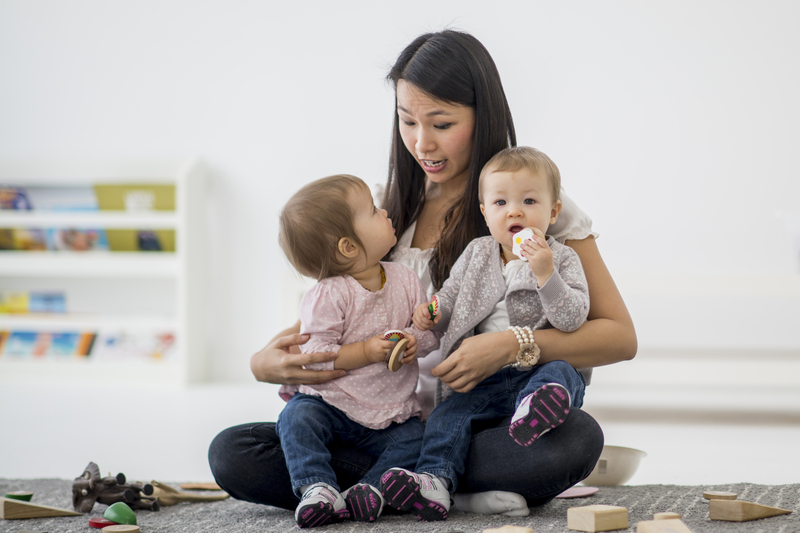 As an employer of your nanny, both families involved in the nanny share need to complete proper payroll procedures (in order to avoid a hefty fine from the CRA). Payroll and taxes for one nanny can be a challenge but doing payroll for a nanny share can be a huge headache. To alleviate this burden, consider subscribing to HeartPayroll for your payroll needs. Each family pays the nanny separately on an agreed upon amount - and HeartPayroll will directly deposit the money to your nanny while taking care of any remittances and taxes. Sign up once and never worry about payroll ever again! This comprehensive guide on how much to pay a nanny should give you an idea of how much to pay your nanny per hour. Keep in mind, however, a nanny share situation makes for a much busier job for your nanny, so adjust your pay accordingly. Nanny share rates should be agreed upon by both parties before the contract starts. Sometimes a nanny is not what you need for your family. CareGuide has a whole collection of services dedicated to helping you find what you need. If your nanny is uncomfortable with pets consider hiring a guide on how much to pay a nannypetsitter! 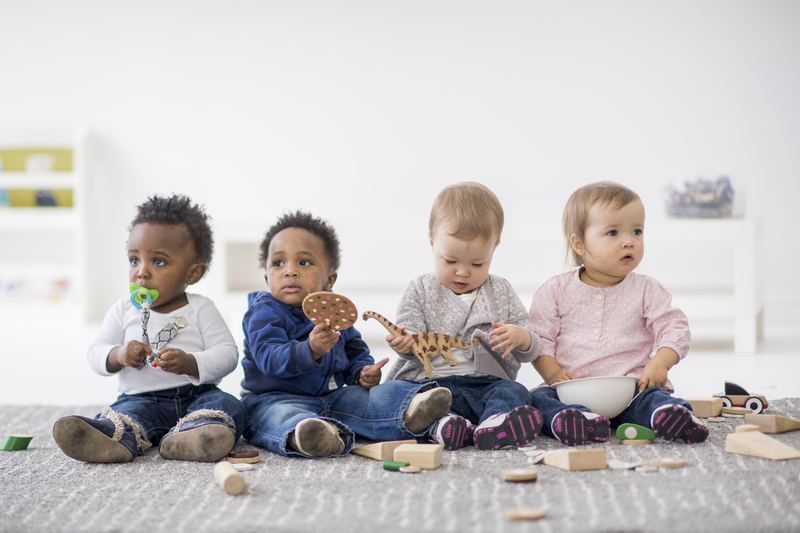 If you only need childcare on a temporary or occasional basis, consider hiring a guide on how much to pay a nannybabysitter instead for date nights or business trips. Many nannies are willing to do some light housekeeping here and there but if your nanny already has to take care of two kids (or more) it may be too much to ask of them. Consider getting a housekeeper who can do deep cleans and pick up your kids’ messes so you don’t have to! Nanny Share isn’t for everyone but it certainly is the perfect solution for many families. In an age of increasingly expensive daycare, finding the right, low-cost nanny share arrangement is perfect for some. Still asking yourself “how do nanny shares work”? Contact us at team@nannylane.com for more support! Need a Pet Sitter Provider? PetSitter.com is an online community connecting parents with a nationwide network of sitters, child care providers and nannies for hire, offering the opportunity to find the care that best matches their specific needs. Need an Pet Sitter Job? Housekeeper.com matches families with North America's most trustworthy senior care providers. Martha is the founder of CanadianNanny.ca. 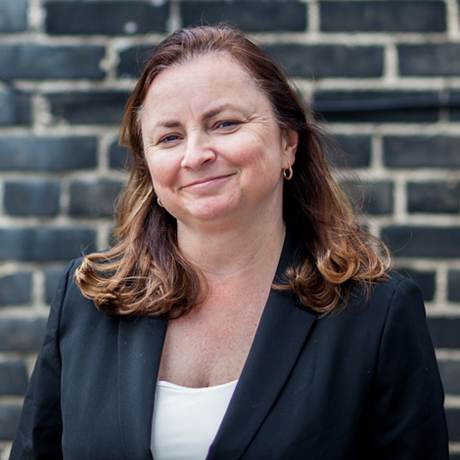 Martha has been featured as a Child Care Expert in hundreds of publications across Canada including The Globe and Mail, CBC, Today's Parent and The National Post, She lives in British Columbia with her husband and two daughters. PetSitter.com is the #1 way pet parents find loving pet sitters, walkers, and boarding. Get exclusive access to the most relevant, must-read pet care articles.